Tags: anime, manga, ign, yay anime! what's everyone watching this season? I can't find the poll but I really hope Baccano! is the next Watch Party show; Pulp Fiction meets Highlander in Prohibition-Era America. And its written by the guy who gave us Durarara!! 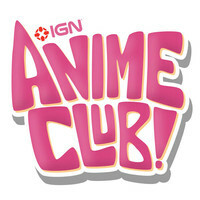 I'd love an IGN Anime Club t-shirt to wear at Nan Desu Con! I love the podcast and would love to show my support that way! btw have you all started watching GATE, the main character is definitely an anime character who loves anime. Anime is my life. I been watching on crunchyroll, KINMOZA! I found your Anime Club on IGN on my PS3.